Margarita Maldonado is one of the leaders in the push for fair rents in Sacramento, and president of the SCLC. With Sacramento rents skyrocketing in recent years, unions and community activists are trying to put a measure on the November ballot limiting rent increases and providing protections to renters. The measure, called the Sacramento Renter Protection and Community Stabilization Charter Amendment, was put forth by Margarita Maldonado, Omega Brewer and Michelle Pariset as part of the Housing 4 Sacramento Coalition. The Coalition includes SEIU Local 1000, the Sacramento Central Labor Council, SEIU Local 1021, USWW-SEIU and SEIU 2015 among others. 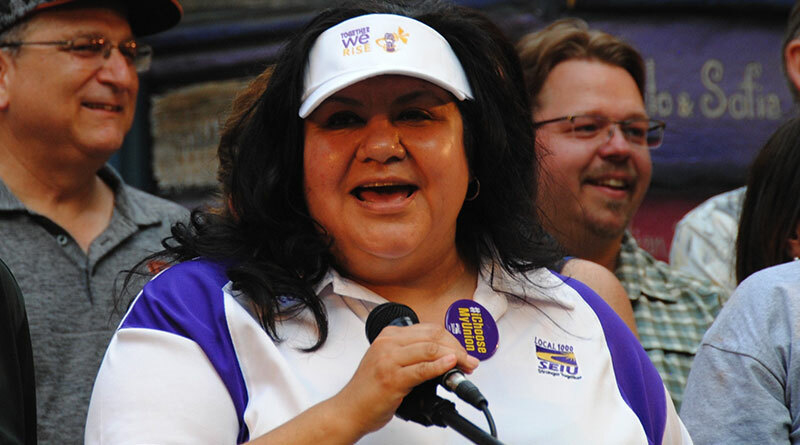 Maldonado is president of the Sacramento Central Labor Council and Vice President for Bargaining at SEIU Local 1000. Brewer is political coordinator at SEIU Local 2015. Pariset is a community organizer. The proposed ordinance would cap annual rent hikes on many older apartments to 5 percent a year. In 2017 rents increased 7.4 percent over the prior year in Sacramento, the third highest increase of any metropolitan area in the nation. From June 2016 to June 2017, Sacramento had the highest year-over-year rent increases in the nation, an average increase of 9.9 percent. Between 2000 and 2015, the median rent in Sacramento County increased 18 percent, while incomes decreased by 11 percent, according to the California Housing Partnership. It would also require that landlords have “just-cause” for evictions, meaning the reasons a tenant can be evicted would be limited. It would also require landlords to pay fair compensation for moving and other costs if they evicted a tenant for some reasons. Landlords who move tenants out to renovate or tear down a building would have to pay between $5,500 to $7,000 to each tenant, with larger sums going to renters who are disabled, seniors or who have children. The measure would also create a community housing board with nine members. Eight of those members would be elected by district and one appointed by the mayor. That board would annually decide how much area rents could increase, but it couldn’t exceed more than 100 percent of the Consumer Price Index. That index rose 2.5 percent last year, meaning if the ordinance had been in place, local rents could have risen a maximum of 2.5 percent. The ordinance would only apply to most units built before 1995, since state law exempts other units from rent control. Statewide, an effort is underway to put a ballot measure up in November that would repeal that unfair exemption of newer units. Called the Costa-Hawkins law, the measure was passed under Republican Governor Pete Wilson, and limits city’s ability to expand rent control. Signature gatherers from unions and community groups are currently working to ensure the Costa-Hawkins repeal makes it before voters this fall. The proposed Sacramento ballot measure must now collect about 37,000 signatures to make it onto the ballot. 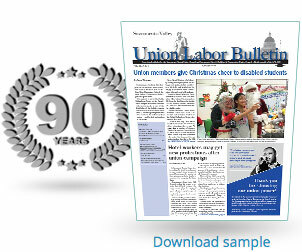 Union volunteers will be helping to collect those signatures in coming months.